Extreme Street Sport. 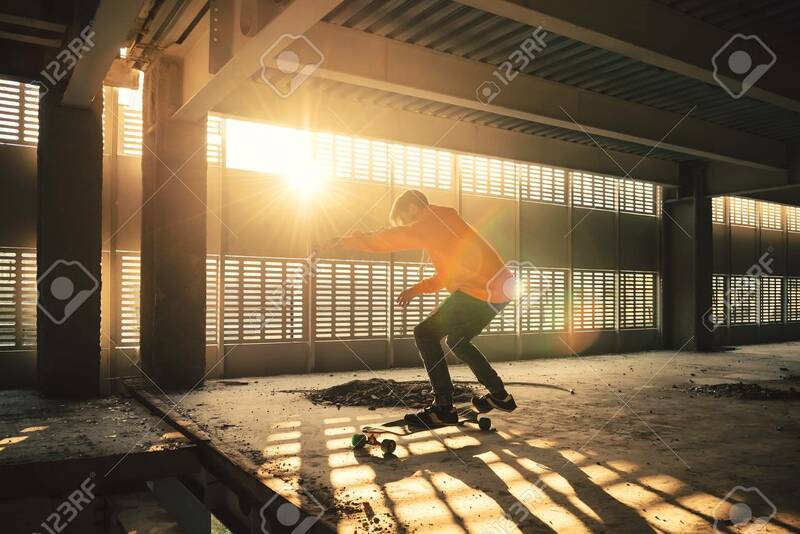 Hipster Man Jumping And Riding On Long Board At An Abandoned Building At Sunset. Image With Grain Royalty-Vrije Foto, Plaatjes, Beelden En Stock Fotografie. Image 105232121.